Nice pickups. I really dig the covers. Saw Vision Quest yesterday at a thrift store called Red Rack, its a DAV(disabled American veterans). Grabbed it as soon as i noticed it. The record was in near mint condition. I should have bought it but didn't want to pay $2.48 for it. If I had a turntable that worked then it would have left the store with me. Sounds like a belt thing. You need to open it up and take a look inside. I say that as someone not in the least bit techie. 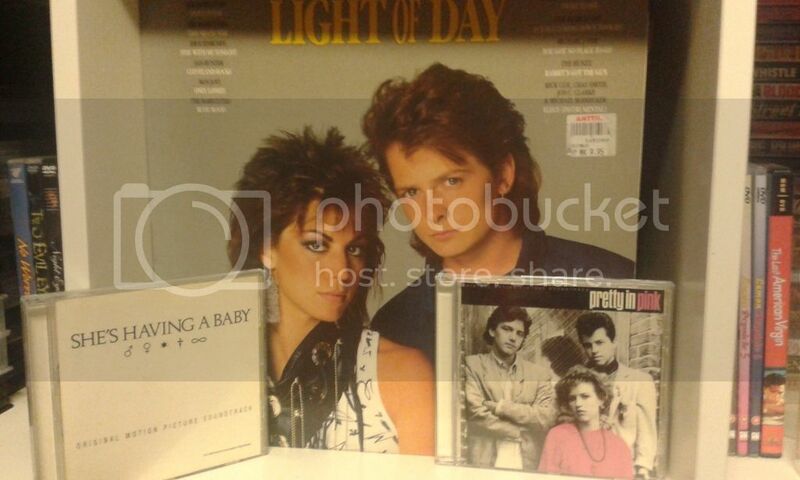 Just got Light of Day lp plus Pretty in Pink and She´s Having a Baby cd´s. Awesome pick ups Atomik though I have never seen Light Of Day (I definitely need to check it out one day) but i love both Pretty In Pink and She's Having A Baby plus I can remember them both having really cool soundtracks! I picked up the LP soundtracks for No Small Affair and Back To School. Cool lp´s warrior, i would like to add those to my collection. 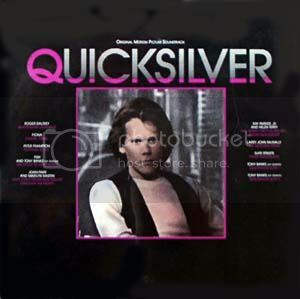 Scored four soundtrack cd´s sometime ago. 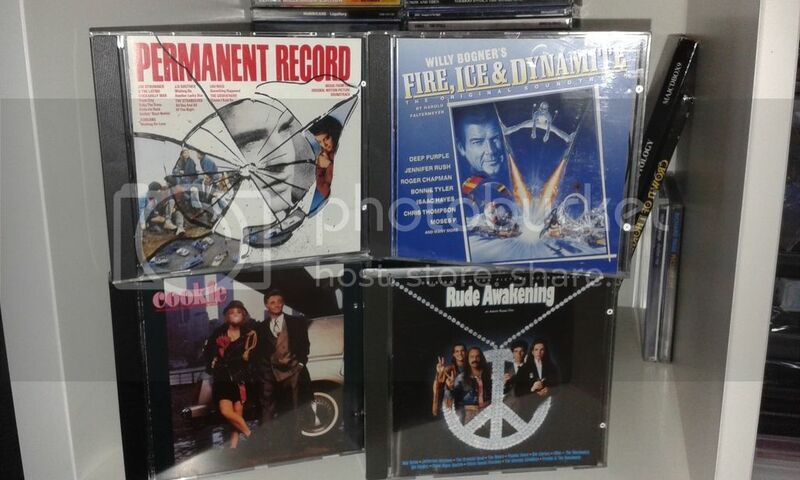 Permanent Record, Fire, Ice & Dynamite, Cookie and Rude Awakening. I'm fairly Lukewarm towards the actual movie but I do dig the soundtrack! Atomik what is the movie Cookie like is it pretty good fun as it's one that I have been wanting to check out for ages! I really want Alan Silvestri's score for "American Anthem" to be issued on CD legally!